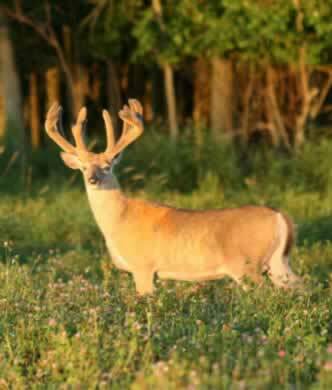 Welcome to Heavy Horn Whitetails Hunting Preserve and Game Farm, a family owned and operated preserve. Located in the heart of the beautiful Kettle Moraine in Cascade, Wisconsin, we have been breeding Heavy Horn Whitetails with quality genetics since 2000. Our hunting season is from September through January. Heavy Horn Whitetails strives to meet every hunter’s needs. Exclusive preserve whether hunting individually or in a group. As a family friendly environment, we encourage spouses and/or children to accompany you while you experience the thrill of the hunt at Heavy Horn Whitetails. For more information, please check our other links – Photos and Prices. If you have questions or wish to contact us, please use our Contact link or call today at: 920-918-8376. Experience the hunt of a lifetime with Heavy Horn Whitetails. Copyright © 2008-2018 Heavy Horn Whitetails, LLC All Rights Reserved.